Imagine that you are attacked by an angry bird, say a crane. It charges at you by its sharp beak. What would you do ? 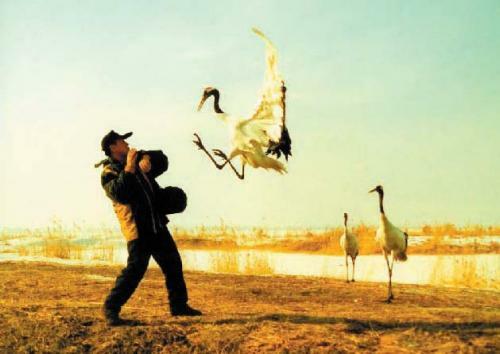 Likewise if you are attacked by a hard punch, you would use the same technique as follows : use one hand to intercept his wrist (which symbolizes the neck of the bird) by deflecting a few inches away from your body then screw/slide in without losing contact along his fore-hand until reaching his elbow (which symbolizes the tail of the bird) and grasp it ( please refer to the video in my website wonghohnkhew.com @ Youtube) .